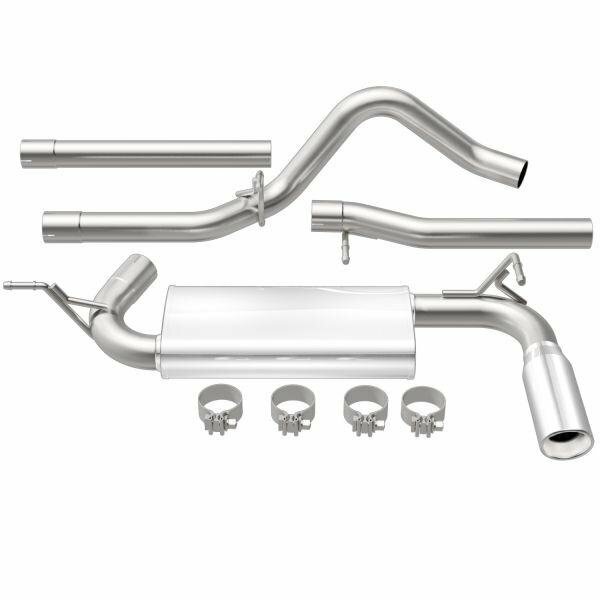 Manufactured exclusively for Quadratec® by MAGNAFLOW® Exhaust these kits are built to last. These kits feature all stainless steel, mandrel-bent tubing construction with a polished stainless steel tip. The mufflers feature a freeflowing, straight-through perforated stainless steel core, stainless mesh wrap and acoustical fiber fill to deliver that smooth, deep tone. These exclusive kits are backed by a Limited Lifetime Warranty. What size is the tubing for this exhaust?